We offer prescription eyeglasses, sunglasses, contact lenses, children's lenses, and goggles. Dr. Jennifer Pelaez O.D. has been practicing optometry in Colorado since 2001. We offer sunglasses that are non-prescription, prescription, extreme sports, active life, and children's. Winter Park Optical is your full-service eye care center in Fraser, CO. Staffed by certified opticians and a licensed Optometrist, we always take the extra steps needed to provide exceptional customer service based on your unique vision needs. Stop by today or schedule an appointment with us! Your vision is precious. 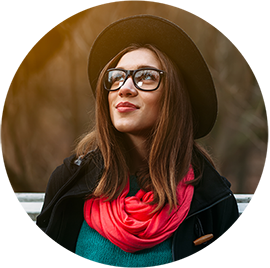 When it comes to ensuring you can see clearly and comfortably, trust the best eye doctors in Fraser, CO to deliver the personalized care your vision demands. At Winter Park Optical, we always treat our customers with a tailored approach to their vision needs. We know your vision isn’t the same as your neighbors, which is why we take the time to determine your unique needs, then serve them to the fullest. Whether you’re simply looking for a new pair of frames to match your style, or you need an eye exam to get the full picture of your eye health, we’re ready to deliver. Our goal is always to be your full-service destination for eye care in Fraser, CO.
We have over 600 different frames to choose from, from top name brands! Our selection of products includes glasses, sunglasses, sports frames, ski goggles and more. We have an on-site finishing lab where we can fabricate lenses while you wait. We’re ready to be your Lasik co-management partner, offering pre-op consultations and post-op checkups. We welcome customers by appointment and can take walk-ins as time permits. Our office is backed by more than 35 years of professional experience! From eyeglass repair to a new set of frames, an eye exam to specialty glasses, Winter Park Optical is here to meet all of your vision needs. Contact us today to see how we can help.